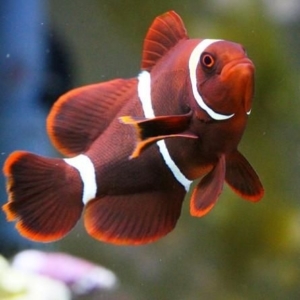 Bicinstus clownfish are small-sized, they are overall yellow, orange, or a reddish or blackish color, and many show white bars or patches, but the principal color variation is that the body can be yellow-orange to dark brown. 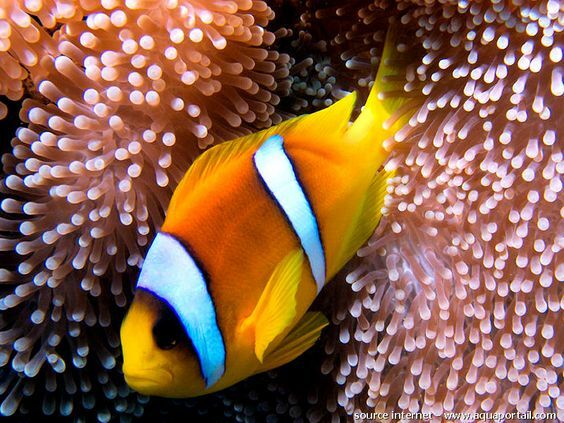 They are found in warmer waters of the Indian and Pacific Oceans and the Red Sea in sheltered reefs or in shallow lagoons. 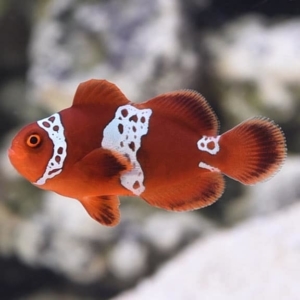 Bicinctus clownfish are sequential hermaphrodites that develop into males first, and when they mature, they become females. They also feeds on a varied omnivorous diet. 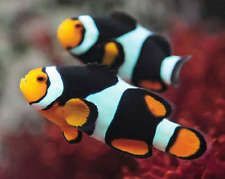 The Bicinctus Clown, (Amphiprion bicinctus), “both saw like with two stripes,” commonly known as the Red Sea or Two-Banded Clown. 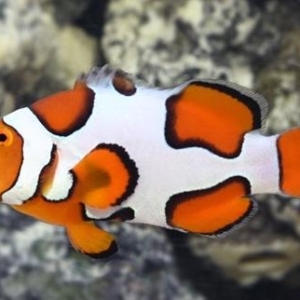 The fish’s body is yellow-orange to dark brown and has two white bands or bars, with black edges. 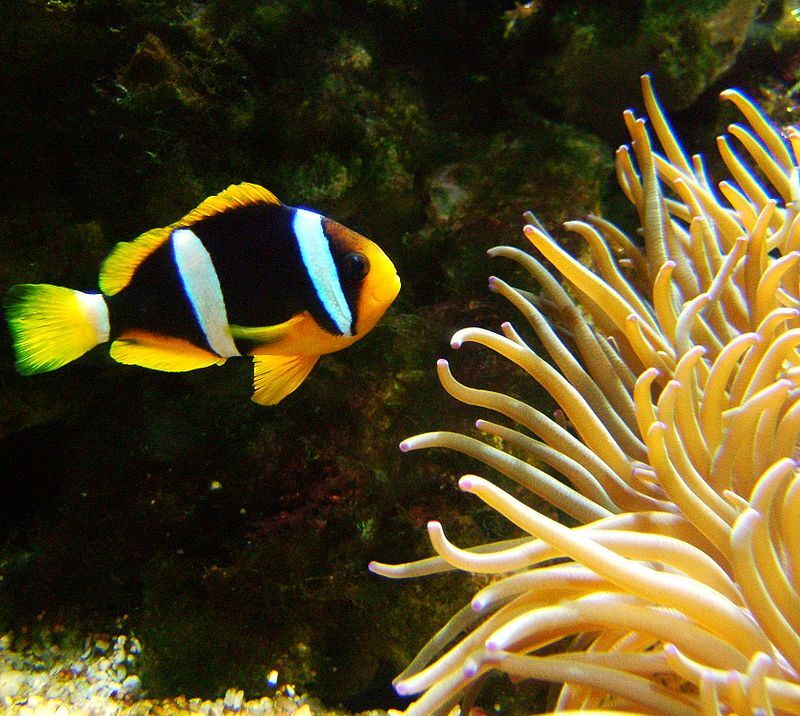 Same as the appearance pattern of two white bars with the Clarkii Clown. 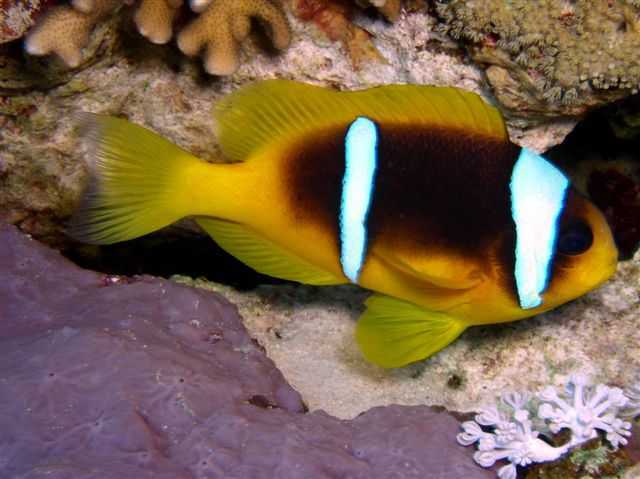 The yellow caudal fin of Bicinctus Clown distinguishes from all. 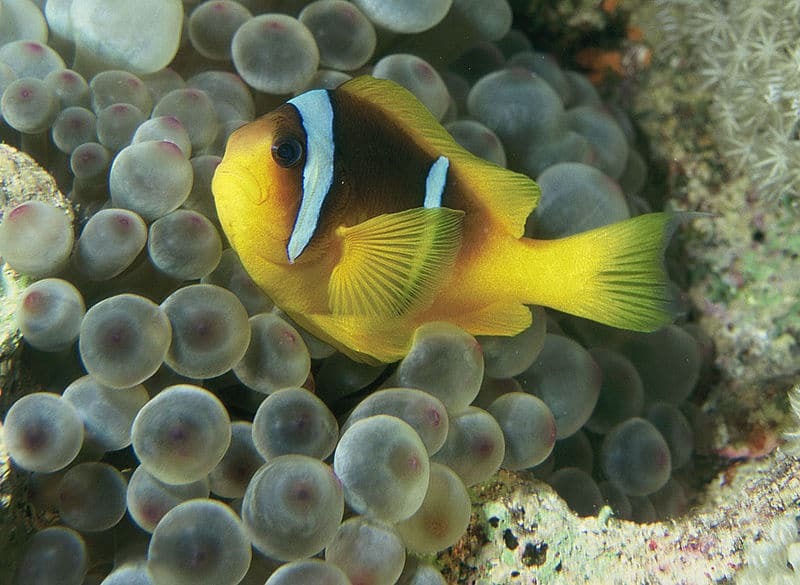 Though the Bicinctus Clownfish does not need a paired anemone, they will accept Bubble Tips, Sebae, Long Tentacle, and Carpet Anemones as hosts.